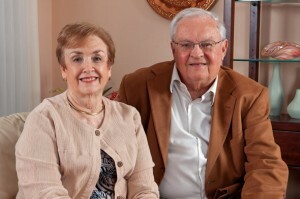 MEET TERRY AND KAY DAY, HAPPY THEY CHOSE THE FOUNTAINS LIFESTYLE. Sarasota residents since 1994, the couple moved to The Fountains in December of 2012. Terry and Kay both still work. In fact, as relocation specialists with Senior Moves, Inc., they specialize in helping people just like themselves make important life transitions. When we asked them, what are the benefits of living in a retirement community? 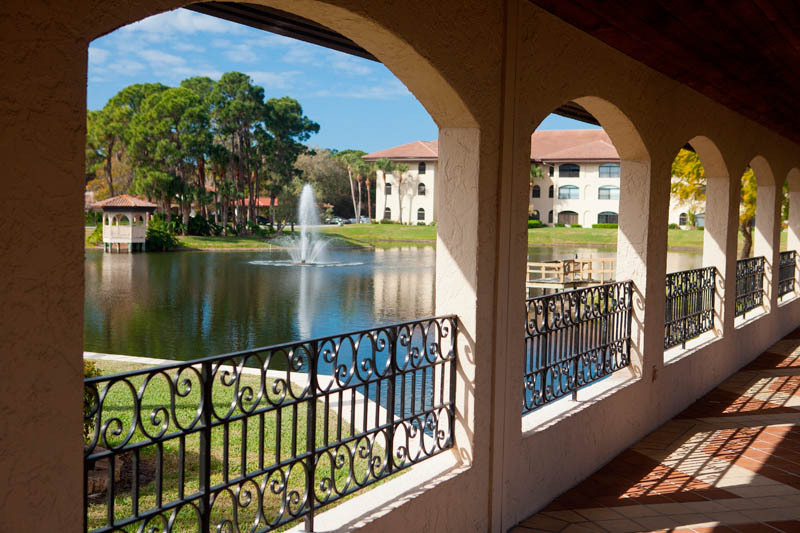 Kay responded, “How many minutes do you have?” Before choosing The Fountains, Terry and Kay visited nearly every retirement community in Sarasota and Manatee Counties. They consider it part of their job to know all the options and, as they’ll tell you, there are an amazing variety of options in and around Sarasota. When it comes to deciding, it’s a personal choice. KAY: This was just another step in our life. We just so enjoyed our move. Everything came together. It couldn’t have gone better. I had no remorse and I didn’t really look back. IT’S NOT WHAT YOU GIVE UP. IT’S WHAT YOU GAIN. TERRY: I was reluctant to give up my two-car garage with my tool bench and all the stuff that you normally find in a garage. But we don’t need it anymore, as Kay points out, because if anything needs to be done – you don’t do it yourself. You pick up the phone and call the concierge. KAY: Terry doesn’t have to worry about the house and the hurricanes here. We have peace of mind. TERRY: For me, it’s being able to lock up and walk away. We’re at the age where we have the time now to travel and see the U.S., so what we want to do in the next four or five years is hit the road. And living in a retirement community like this, we’re able to walk away without any worries. At The Fountains at Lake Pointe Woods, your personal choices continue long after you decide to move in. TERRY: We became familiar with the differences that each [community] has to offer, and [asked ourselves] did we want to buy in? Did we want to rent or do a membership fee such as The Fountains has to offer? KAY: We didn’t particularly want life care because we didn’t want to pay for something up front that we weren’t possibly going to use. I think the one thing that drew me to The Fountains, and I think Terry feels the same way, and that is the friendliness, it’s a family. We are a family here and there’s no question about it. The sales staff, the maintenance staff, the administrative staff – it’s all one big happy family and I do mean happy. We haven’t felt like strangers since we’ve moved in. When it comes to taking charge of your future, Terry and Kay Day know it’s better to act now than wait. Instead of waiting for who knows what, Terry and Kay made their move to The Fountains at Lake Pointe Woods while they were still relatively young – still working, in fact. Now they can just lock the door and leave without worrying about a thing. Meet Terry and Kay in person over coffee or a drink in our Tiffany Lounge. Just call 1-941-306-3739 to set up a time. Bring your questions and get honest answers straight from the source.